Hello everyone! Instead of my usual post on one aspect I love of a specific book, I’m starting a series of posts on the steps I go through taking an idea to a book deal. I’m also going to be enlisting my agent, Jen Rofé, as well as my editor, Frances Gilbert, in interviews, to share what their role is this process. While I know this often looks very different for each person, I hope this will be helpful, or at least interesting to read. This first post will mostly be my initial stage of this journey. While I’ve shared before about my process in creating the actual book and artwork, that’s often the process after my editor has acquired it. But today I want to talk about the ground work that gets me to that stage where a publisher actually sees it (and hopefully wants it). For me, it starts with an idea. I get lots of ideas, but a large majority of them don’t make the cut. They just hang out there as “ideas” on a very full shelf, often never being taken out or revisited again. I don’t always recognize their potential, so every time I get an idea, I write it down – mostly on stickies. Sometimes, because I also illustrate, I’ll create a quick doodle of the idea if I’m quite fond of it, and see where it leads. If it’s solid, it almost always snowballs into more ideas. That’s when I generally know I’m onto something. For example, this past November, I was doodling wolves (for a different idea) and just randomly doodled a kid holding a cat. My ideas don’t always come from drawing, but this one did. 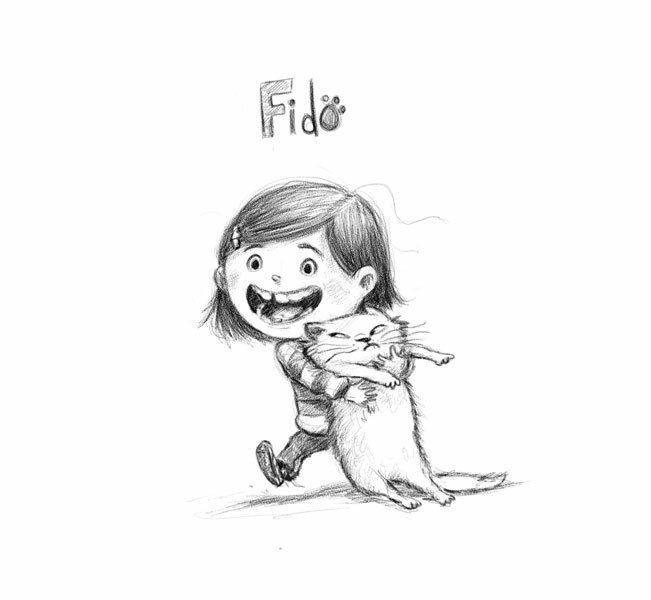 I drew this goofy kid awkwardly holding a cat and all I could think of was this how she would call it Fido, and then how it wouldn’t obey her – it was a “bad dog”. That was the spark. That very thought was when I knew I had an idea that could actually be a book, but first I had to write it. Writing a picture book story is not easy for me. Drawing definitely comes more naturally, but writing a story, a story worthy to be read and picked up by a publisher, I find that extremely difficult. When I was starting out in publishing, I didn’t edit this stage too much. I’d have already sent out that “idea” to my agent thinking it was ready to go. If it wasn’t a “not too sure about this” or “hmm, I don’t think this is working”, she’d almost always (and graciously) reply with a “Fun idea, but then what?” or “so what?”. It was never intended to be mean, but a challenge. She may have liked the idea, but it needed the details and loose ends to be cleaned up. It needed the catch and the whole pitch, with a beginning and ending (and a meaningful one at that!). So now that “So what?” is always going through my head as I’m working on fleshing out the my idea, writing it into a story form. “Why is this happening?” “Is it absolutely necessary?” “Does it distract or add to the story?”. This generally works pretty good, but once in a while I still get the blinders on and can’t see I’ve gone the wrong way and I have to scrap it all. I think Jen has a “special” folder with a couple real doozies of mine. I also I read my story out loud – mostly to myself. And I do this a lot. I’ve found reading it out loud is one of the most efficient ways to trim down all the unnecessary words and text from my MS. It also gives me a feeling of how well this one will do with the kids I read it to. I’ve learned from doing school visits and reading to my own kids, how much a book benefits from being a wonderful/fun to read out loud story. I may compose a couple really, REALLY, rough page layout here or there, but not always. I find it helps me with pacing my story telling – which is really important. A lot of a picture book is about pacing from page to page. Dan Santat taught me that. As I see it getting close, it becomes a lot of sharing with my crit group/family/friends, and honest self-editing, trying to answer the questions I know my agent will have for me. 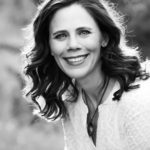 Next post I’ll be interviewing my amazing agent, Jen Rofé, about her “so what?” factor, some of the other things she helps me with, and when she feels a story is ready to send out to publishers. If you have specific questions you’d like me to ask her, write them below in the comments and I’ll try to work them into the interview! 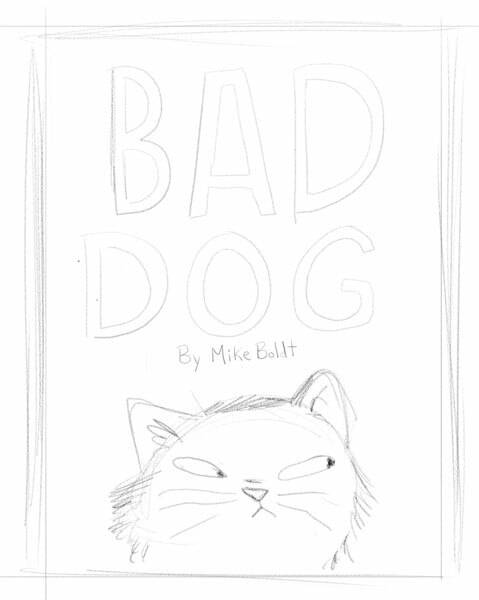 Bad Dog, Frances Gilbert, Jen Rofe, Mike Boldt. Bookmark. An “idea to book deal” series is a great idea! With the various journeys to publication I actually like reading about how some parts are the same- the many shelved ideas, the “so what” questions. This is awesome and I can’t wait to read more! Thank you, Jodi! Sure appreciate the encouragement! Looking forward to this series of posts, Mike. It’s always interesting to get a ‘behind-the-scenes’ look at someone’s process. Congratulations on Bad Dog and Find Fergus!!! Thank you, Judy! I’m glad you found it interesting! Mike, Thanks for sharing your idea stage. As a writer, I work through an initial idea with “What ifs” – “But” – “Then.” And I learned the importance of pacing from Mac Barnett. Should my manuscript submissions reflect that I thought through pacing by leaving a line space between spreads? Yes, I can imagine you learned a lot from Mac Barnett too, Manju! I don’t think you need to worry too much about spacing out your MS lines between spreads. I’m sure you could, but may not be necessary at that stage yet. If it’s not something you normally do, try it out and see if it helps you in your writing stage for that story. Might give a different feel. You might even want to try the inverse and not separate out the pages/spreads at all as well. Might help you to feel less constrained to fit to a page count. This is great, Mike! Thank you for sharing your formula to success. Looking forward to the rest of the posts in the series. I love that you’ll be sharing this journey with us, Mike. 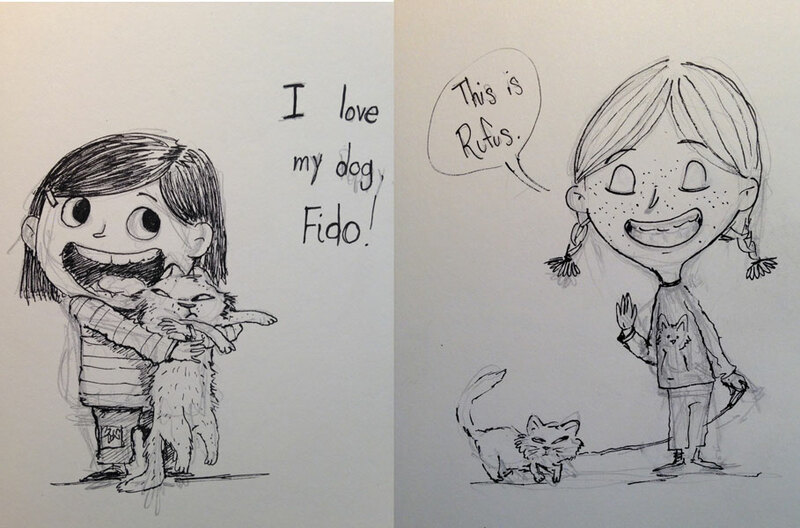 And what an excellent beginning–I love the expression on Fido’s face! Thank you for sharing your process, Mike. I look forward to reading more in the series! Thank you and thank you (and thank you), Katrina! Great post! Looking forward to this series! I think they will be very helpful. Thanks! I hope so! Thank you, Angie! I love reading how things came together. Already you went from a sketch, to a possible cover. Can’t wait to read about the journey. Thanks. Thank you, Susan. I hope you’ll enjoy the rest of this series as well. Wonderful post. Can’t wait to read the rest in the series! Thanks, Cathy! I’m looking forward to them as well! 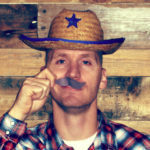 Thanks Mike- this is a great concept for a series of posts. I appreciate the look into your process. And I appreciate you reading and letting me know! Thanks, Mary! Terrific idea for a post series. Thanks. Your cute, goofy girl in Bad Dog reminds me a lot of my granddaughter, Marley, with HER cat. (She has the scratch marks to prove how she treats her cat like a dog! Haha!) I will have to find this book for her to read and to read to her. I love hearing about your process, Mike. 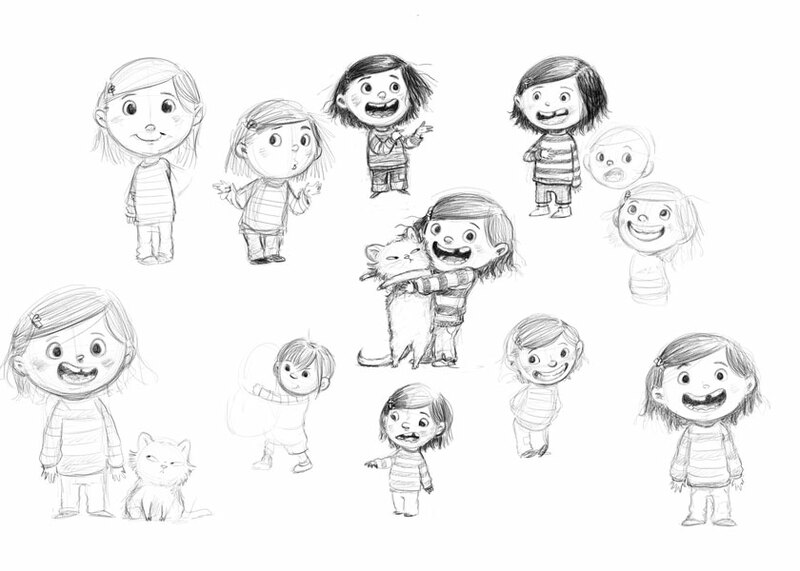 As a doodler and a wannabe writer of children’s picture books, I can never seem to get past the initial idea stage! Thanks for sharing! Thank you! It’s a lot of patience and perseverance too, Sharon! I wish you all the best in cracking those ideas into a story! Thank you for sharing. I will keep reading the posts. I love getting a peek into an author’s process. Thanks for this entertaining series, Mike. I love hearing about author and illustrators processes, so different yet all yielding a picture book. I get ideas that work for me from the sharing of the process. Thank you. Fantastic! Hopefully some good ideas too! Thanks so much for letting us inside your process. I’m looking forward to more in this series. My pleasure Rita. Thank you for taking the time to let me know. Thank you for sharing this aspect of your work. It’s also interesting to hear it from someone whose first impulse is through illustration. Thank you, Beth! I’m glad to hear I’m not the only one! Thank you for sharing interesting steps from idea to publication, Mike. My pleasure, Suzy! Thanks for letting me know! Thanks, Mike. I look forward to your next post. Thank you, Kathy! I’m also looking forward to it. I’m loving this, Mike. Thank you for sharing. I love this aspect of the process, and don’t do it nearly often enough. Thank you for sharing your process and looking forward to the rest!